New private and commercial plates were introduced in 2003. New plates for foreign travel were introduced in 2006 and 2010. Foreign travel series 1969-98. 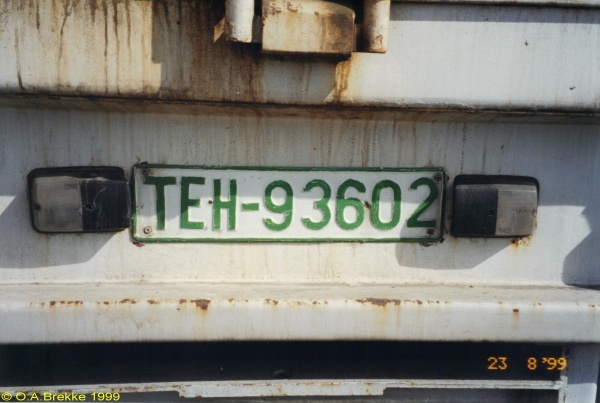 TEH = Tehran (all foreign travel plates had the code for Tehran). These plates were used in addition to normal plates. Upper plate: Normal series 1993-2003. Orange band = Commercial and public transport. The registration translates as Qazvin above 11T389. 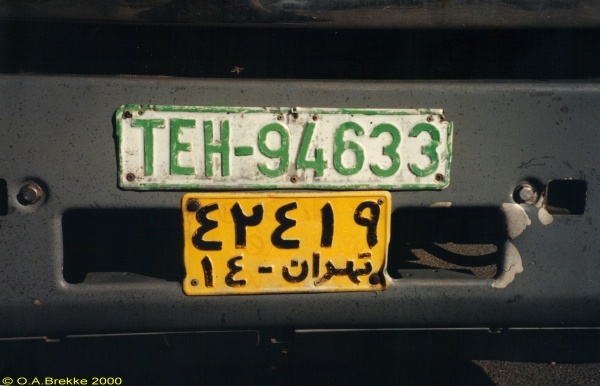 Lower plate: Foreign travel series 1998-2005. 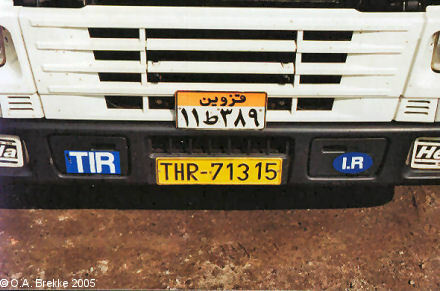 THR = Tehran (all foreign travel plates had the code for Tehran).